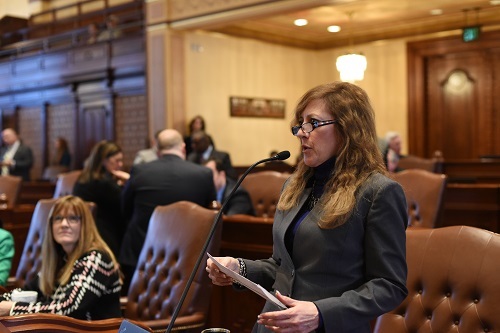 SPRINGFIELD – State Sen. Linda Holmes, D-Aurora, has joined the Illinois General Assembly’s commission to audit government activity. 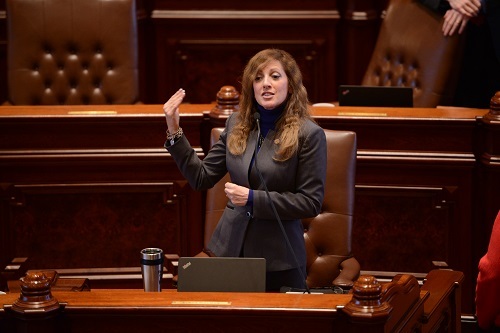 The Legislative Audit Commission is a bipartisan group of twelve legislators from the Illinois Senate and House of Representatives. The commission oversees audits of state agencies, holds public hearings and makes recommendations to the General Assembly on how to correct weaknesses. 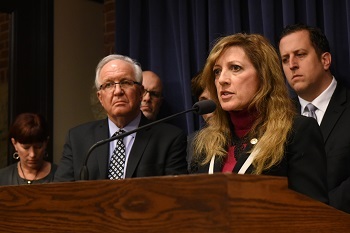 SPRINGFIELD -- State Sen. Linda Holmes, D-Aurora, asked Illinois Department of Natural Resources Chief of Staff Brent Krebs why he and the department that he oversees remain optimistic about the passage of the grand bargain. “I wish I shared your optimism,” Holmes said. The bipartisan package of legislation known as the grand bargain was thrown off track last week when Gov. Rauner contacted Republican legislators and convinced them to vote against the package of interconnected proposals. Rauner’s move was a surprise to many, who pointed to the governor’s reliance on the framework’s revenue bills to close an almost $5 billion shortfall in his budget proposal and his public commentary praising the senate’s negotiations. 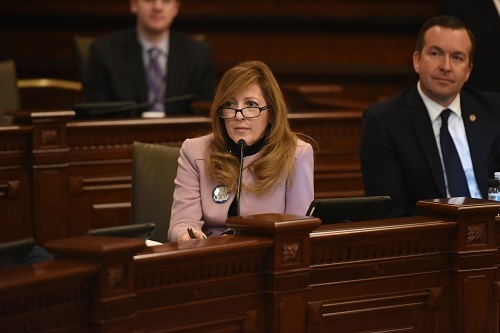 SPRINGFIELD — In a senate hearing with Acting Director Anna Hui of the Illinois Department of Labor, State Sen. Linda Holmes, D-Aurora, asked what cuts could be made in the Department of Labor to balance the $4.6 billion out of balance budget. This week, Sen. Holmes and her fellow Democrats in the Senate have asked more than ten heads of state agencies what they would do should they be asked to cut their agencies’ budgets. In this year’s budget proposal, Gov. Rauner put forward a plan that spends $4.6 billion more than it collects in revenue. Rauner’s FY 18 budget proposal relies on the General Assembly to close this $4.6 billion gap by proposing new revenues or making cuts to programs. Director Hui is one of at least sixteen other state agency directors who have appeared before the Illinois Senate this week. None have suggested cuts to their departments’ budgets.